The thermodynamic arguments on this thread that has become about abiogenesis rather than evolution seem a little confused to me. I knew blitz was off-track but chemistry isn't my best subject. And... welcome to the forum. I agree, my post #25 went unresponded. Maybe blitz could chew on that one, it is an on-topic post. Blitz77:The two great trends in the universe is for higher entropy and lower energy. Whoops, yeah, I said the wrong thing. Higher entropy and higher FREE energy is what I am saying. Randy: OK you are wrong. If this were true polymerization reactions would not be spontaneous and many of them are highly spontaneous. Complex molecules can form spontaneously under the appropriate conditions of temperature and pressure. Polymerization reactions release heat to compensate for the decrease in entropy of the monomers. It is the free energy change and not the entropy change that determines the direction of a reaction and the free energy changes depends on temperature and pressure. You are trying to argue that the second law of thermodynamics prevents unknown reactions that may have occurred at unknown conditions of temperature and pressure. This invalidates all your thermodynamic arguments leaving you with arguments from incredulity. Not really. Forming peptides does not release as much heat as is required to produce them. Without a reducing atmosphere, you can't form peptides without having a net loss of entropy. Same thing as for producing proteins from peptides; more energy is required to produce proteins than is released by the polymerization process. I am saying that converting heat into bond energy reduces the amount of free energy. Any reaction that reduces Gibbs-free energy is not spontaneous, and requires a increase of entropy somewhere else. What I am saying is that converting the heat into bond energy is thermodynamically unfavorable, as heat has a higher entropy than bond energy. Thus, if you convert heat energy into bond energy, you need something else to supply the increase in entropy to compensate for the loss of entropy from converting heat into bond energy. So you need something else as well as heat, as heat only supplies the energy, it doesn't supply the required increase in entropy. dG = dH - TdS (d = delta symbol, and at constant T and P). Since we are converting heat into bond energy, dH is positive. dS is also negative, as the order of the system is increasing. Now, if dH is positive and dS is negative, then dG must also be positive. Now, according to the general chemistry textbook next to me, if dG is positive, reaction is nonspontaneous. If dG is zero, the system is at equilibrium. If dG is negative, the reaction is spontaneous. Since the reaction is non-spontaneous (the absorption of heat into bond energy to form a lower entropy molecule), it won't happen without an increase of entropy somewhere else (a -dH + TdS somewhere else that is > than the dH - TdS). If Pascal is apropo "on this page" then we ought if we can respect the order of consequences and search for the propostion in common else the dissumulation will thread the Camel, one or two lumps.--My attempt at being a Chinese Sage. The problem with any defintion is only to accept the nominal ones if I understand correctly. I do not know enough of the thermo discourse to say more particularly as to if some overdetermination of simply mis understanding are or may not be involved in the appearence that is visible. Your thermodynamics still seems a bit confused to me and while you have stated the expression for the free energy change correctly you seemed to have completely missed the point. The point of the free energy argument is that delta G depends on temperature and pressure. It is positive for peptide formation from amino acids at room temperature and one atmosphere pressure but it is negative at some higher temperatures and pressures such as those in the range found in the neighborhood of hydrothermal vents. Everett Shock (Origins of LIfe and Evolution of the Biosphere, 22, 67-107), showed this theoretically about ten years ago and it has also been shown experimentally at least for elongation of glycine oligopeptides (Imai, E., et. Al. . 1999, Science 283(5403): 831�833. ). Since you don�t know the temperatures and pressures or even the reactions that may have occurred during abiogenesis, if it indeed occurred naturally, you can not say that those reactions violate the second law. You are still arguing from incredulity and your arguments do not have the force of the second law behind them as much as you might wish otherwise. From this image you can see that for it to become spontaneous, the water would have to be 400C at 0.5kbar and 500C at 5kbar. The higher the pressure the higher the temperature required for it to become spontaneous. And even at 100C complex amino acids such as threonine and serine break down. So you are suggesting that the proteins formed at around or over 400C? Blitz77:So you are suggesting that the proteins formed at around or over 400C? Randy: I see you finaly acknowledge that peptide formation is not necessarily against the "energy gradient" as you claimed before. What I am saying is that you don't know the conditions of temperature and pressure, the temperature gradients, what the exact reactants were, reactions that may have been coupled to protein formation, when protein formation must have first occurred during abiogenesis, or much of anything else about what may have happened. When you don't know the reactions or sequences of reactions or the conditions when and where said reactions may have occurred you cannot say that any of them violated the second law of thermodynamics. You can say that abiogenesis seems highly improbable to you and that no currently proposed scenario is convincing to you but you cannot prove that the process could not have occurred without violating the second law. 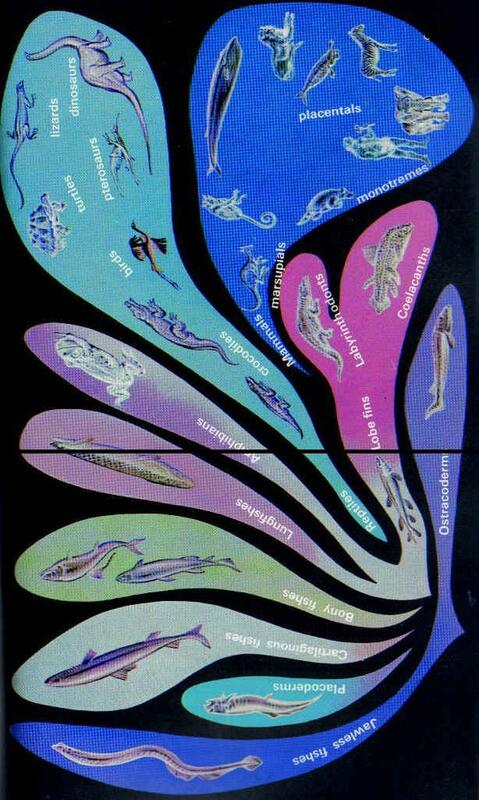 I see you have given up all arguments about evolution violating the second law to focus on abiogenesis. Does this mean that you agree that evolution does not violate the second law? That was the original topic of this thread after all. 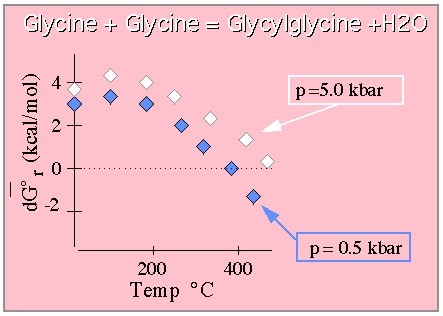 No-I admit that it that polymerization of the amino acids can occur spontaneously at high temperatures (>500C at 5kbars)-but glycine is the most stable of the amino acids (as it is the simplest). You can't have it both ways-a high temperature + stable amino acids / proteins. That's why John didn't specify that it occurred in the hydrothermal vents-there are other problems there. And how would the amino acids form in the first place without a reducing atmosphere? Without a reducing atmosphere, it is against the law of thermodynamics that amino acids can form spontaneously-only in a reducing atmosphere it can, as only in a reducing atmosphere can the reactions necessary to produce the amino acids be spontaneous (given a spark of energy to get over the activation energy requirement). So we are fortunate that the prebiotic earth had a reducing atmosphere for a couple billion years. Creationist claims to the contrary there is still solid evidence for this. Gary Hurd gives references for this in his critique of Sarfati's critique of the Imai paper. It is also possible smectite clays catalized reactions, protected reactants and products and preferentially bound optical isomers and there are other scenarios that can be postulated. As I said before, you don't know the reactions or the conditions under which they occurred so you can't prove that they violated the second law. You are still arguing from incredulity and your claims do not have the force of the second law behind them. Sure is, if not altogether abandonned. I posted something to this effect already. This was what I was talking to you about before, John. The heat by itself can't do anything in lowering the molecular entropy-only the temperature gradient. I don't believe the issue is settled. Looks to me like the page is pushing the extra-terrestrial origins of amino acids. Apparently the author feels as you do. Fair enough, no one can prove anything yet. Good stuff about the reducing/non-reducing atmosphere though eh? If I'm following the discussion properly, the Creationist position in this thread has shifted from "2LOT doesn't permit abiogenesis" to "2LOT permits abiogenesis, but the heat gradient on the ancient earth was insufficient for abiogenesis." Do I have this right? Randy: No the self test says that some scientists believe that the gradient was too small. The self test also says the oceans would not completely freeze over because the sun was 30% less luminous which is obviously some sort of mistake. Regarding the reducing atmosphere question, my literature research on the subject indicates that virtually all scientists working in this area think the atmosphere had about 0.1% of its current oxygen content 3.5 billion years ago and most think that it began to rise to its current levels about 2-2.5 billion years ago. This conclusion is not drawn because a reducing atmosphere is required for organic chemistry as the exobiology site says but because minerals exists which could not have formed in the presence of oxygen. There is some controversy about when the rise to current levels of oxygen began but not about whether oxygen was originally low. While the atmosphere is no longer considered to be as strongly reducing as the mix used in the Miller-Urey experiments most seem to agree that reducing conditions existed on the pre-biotic earth. Blitz77:This was what I was talking to you about before, John. The heat by itself can't do anything in lowering the molecular entropy-only the temperature gradient. Randy: This statement does not make sense. It indicates to me is that you don�t have a very good grasp of thermodynamics. Adding heat increases the entropy of a system (dS = dQ/T) but that is not very relevant to this argument. The statement that only the temperature gradient can lower molecular entropy seems to me completely nonsensical. As you have admitted free energy changes depend on reaction conditions and the free energy change determines the direction of any reaction. You don�t really know the reaction conditions so your conclusions can not be shown to be valid.